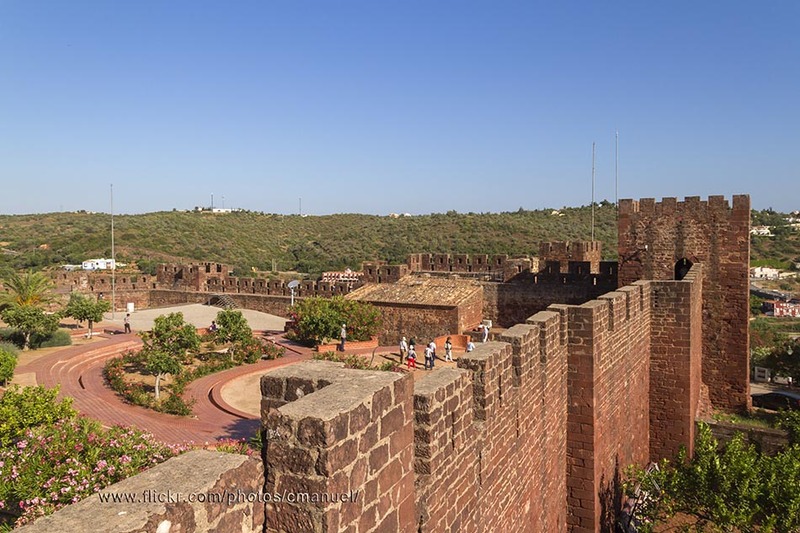 Visit the beautiful and peaceful town of Silves and its castle when passing through Algarve, Portugal. 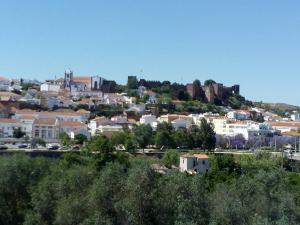 Silves is a Portuguese village of orange-colored rooftops located on the banks of the river Arade. This pretty town, in the Algarve region, has two rather well-preserved castles, little winding streets, and a medieval wall built of red stones. This is a lively place during the day but very quiet at night, making it a perfect destination if you are looking for a non hectic holiday location. 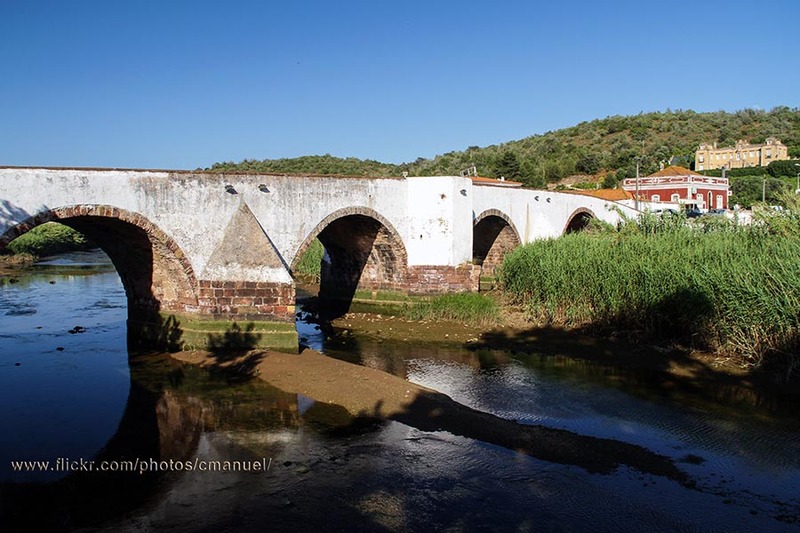 Silves is close to lively entertainment areas such as Portimão, only 15 kilometers to the northwest of Silves. The first thing you should visit is the Castle, uniquely designed to defend this region though its rectangular towers, which offer incredible panoramic views. Next to the castle you can find the old Cathedral of Silves (Sé Velha), whose monumental structure dates back to the 14th and 15 centuries. Standing out are the arched portals and the inner baroque facade. The rest of the buildings of the settlement date to the 19th and 20th centuries. Also interesting to highlight is the bridge over the Arade, which was rebuilt over the medieval factory. 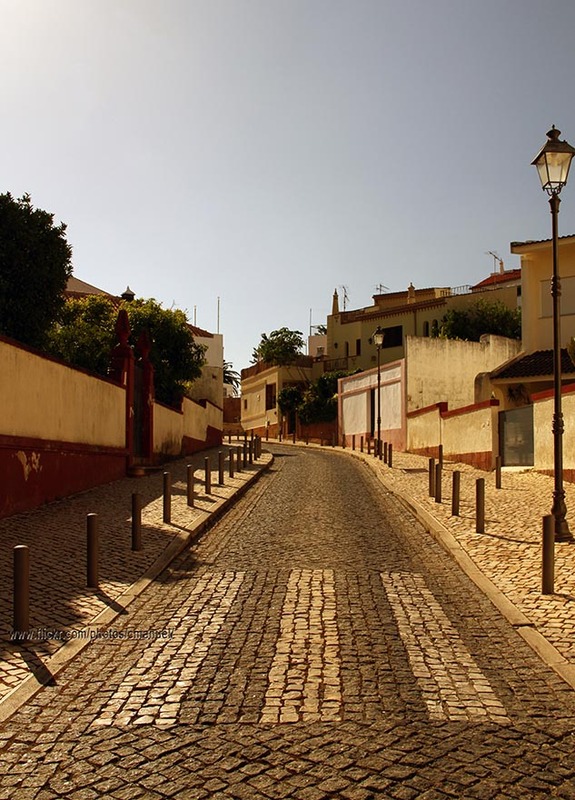 Situated on Rua das Portas [Street of the Doors] is the Municipal Museum of Archeology, which has an interesting history ranging from the Paleolithic era up until the 17th century. Another interesting place is the Cork Museum, located in the "English Factory," an old cork factory. Just before leaving Messines, we also recommend you to visit the Cross of Portugal. 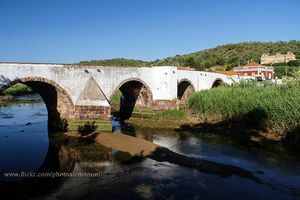 In the vicinities of Silves lies São Bartolomeu de Messines, a place which one can access through a small street, which has an interesting mother church designed with Manuelino [of King Manuel] and the Renaissance styles. August is one of the best times to visit Silves.During this period, the week-long Medieval Fair (the date varies every year) is celebrated. At this fair, the most important events and characters of its history are reenacted. All of this is livened up with dances, banquets, traditional foods and craftwork with the atmosphere of the eleventh and twelfth centuries.